NICE has given the nod to two eye treatments for treating serious diabetic eye condition. 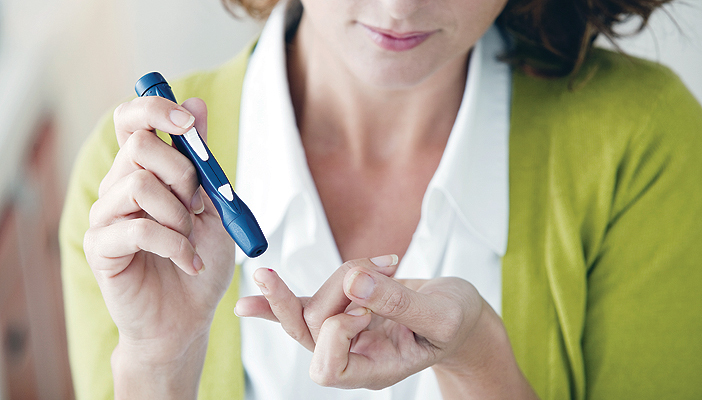 In its final draft guidance NICE has recommended aflibercept solution for injection (Eylea), and dexamethasone intravitrea implant (Ozurdex) as possible treatment options for some people with diabetic macular oedema. Diabetic macular oedema is a common complication associated with diabetic retinopathy, and is the most common cause of visual impairment in people with diabetes. the company provides aflibercept with the discount agreed in the patient access scheme. Aflibercept is a vascular endothelial growth factor (VEGF) inhibitor. It prevents abnormal new blood vessels from forming under the retina. It also helps treat swelling in the retina caused by oedema. their diabetic macular oedema does not respond to non-corticosteroid treatment or such treatment is unsuitable. Dexamethasone works by suppressing inflammation and preventing oedema forming in the eye. It reduces plasma leakage from blood vessels and inhibits the release of inflammatory compounds that cause damage to the eye. The dexamethasone intravitreal implant is injected into the eye. Dr Maria Dawson, a member of the Eye Health Campaigns Team at RNIB, welcomed the decision but added. “The use of Eylea is only recommended as an option if the eye has a central retinal thickness of 400 micrometres or more at the start of treatment. This means that those patients with early onset disease have no treatment options and as result may have to unnecessarily lose existing sight before they qualify for treatment. "We feel it is unacceptable that a treatment proven to work is denied to many patients with early onset disease based on cost." She also raised issues with NICE’s decision on Ozurdex. “These recommendations do not provide a treatment option for DMO patients with a natural lens who are unsuitable, unresponsive for non-corticosteroid treatments or who are currently waiting for cataract surgery. Ultimately there is still an unmet need for these patients with DMO which needs to be addressed. "We are concerned that all these restrictions will result in patients needing to lose their sight as a pre-requisite for treatment, and that many will receive no treatment at all. We are calling on NICE to address the management of all patient groups, including those with early onset, when appraising treatments." It develops when blood vessels in the eye are damaged by a continuously high blood sugar level, causing plasma to leak into the eye. Abnormal new blood vessels also form under the retina. This causes a build-up of excess fluid (oedema) in the macular, which is the central part of the retina. The oedema impairs light perception, causing blurred vision. If it is not treated effectively, it can lead to irreversible vision loss.